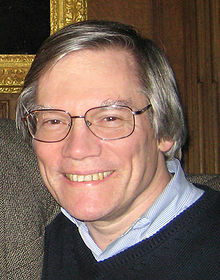 Cosmological inflation, first proposed by Alan Guth in 1979, describes a hypothetical period when the early Universe expanded faster than the speed of light. The model, which answers fundamental questions about the formation of the Universe we know today, has become central to modern cosmology, but many details remain uncertain. Now atomic physicists in the US have developed a laboratory analogue by shaking a Bose-Einstein condensate (BEC). The team’s initial results suggest that the Universe may have remained quantum coherent throughout inflation and beyond. The researchers hope their condensate model may provide further insights into inflation in a more accessible system, however not everyone agrees on its usefulness. Chin and colleagues created their model system by cooling 30,000 atoms in an optical trap into a BEC, in which all the atoms occupy a single quantum state. Initially, this BEC was sitting still in the centre of the trap. The researchers then began to shake the condensate by moving the trapping potential from side to side with increasing amplitude. This raised the energy of the state in which the condensate was stationary relative to the trapping potential. When the shaking amplitude was increased past a critical value, the energy of this “stationary” state became higher than the energy of two other states with the condensate oscillating in opposite directions inside the trap. The condensate therefore underwent a dynamical phase transition, splitting into two parts that each entered one of these two momentum states. Between 20-30 ms after the phase transition, the researchers saw a clear interference pattern in the density of the condensate. This shows, says Chin, that the condensate had undergone a quantum coherent separation, with each atom entering a superposition of both momentum states. After this, the clear interference pattern died out. This later period corresponds, says Chin, to the period of cosmological relaxation in which, after inflation had finished, different parts of the Universe relaxed to their new ground states. More detailed analysis of the condensate in this phase showed that, although its quantum dynamics were more complicated – with higher harmonics of the oscillation frequencies becoming more prominent – the researchers’ observations could not be described classically. “This is indeed nice work,” he concludes: “The language is simply a little bit inflated!” The research is described in Nature Physics.